Card games have become a natural part of life, with many millions of players from all over the world "Cardfight!! Vanguard." 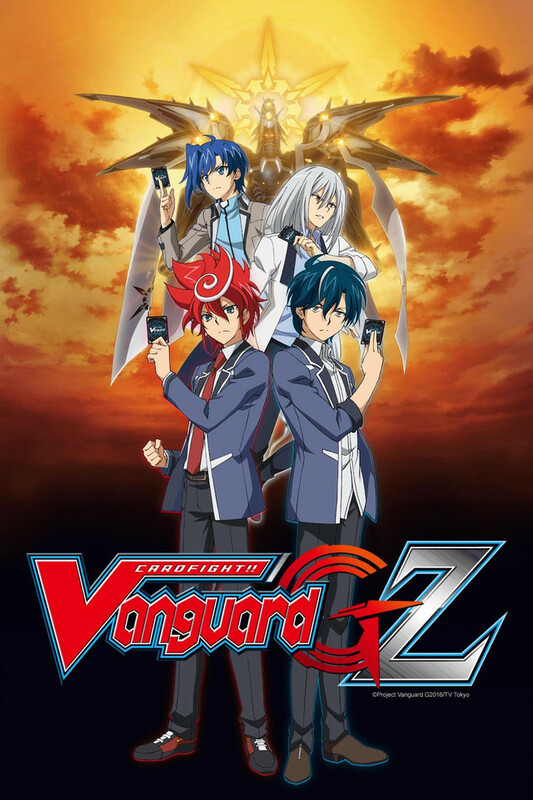 Through this card game that captured the attention of the world, the two cardfighters "Aichi Sendou" and "Toshiki Kai", became the vanguards that saved the world. The protagonist who lost his parents at a young age, and wants to live by his own capability, "Chrono Shindou". The cool and handsome boy who received a special education in fencing, and is popular in class, "Shion Kiba". The attractive Tokyoite girl with good grades, "Tokoha Anjou". With these 3 protagonists as the center, a new story begins. A new clan that nobody has ever seen, "Gear Chronicle." When this mysterious deck ends up in Chrono's hands, the fates of these 3 previously unconnected people shall intertwine! With the meaning of a potential future, a potential self, "Generation." What will these 3 realize in the future that awaits them...! ?